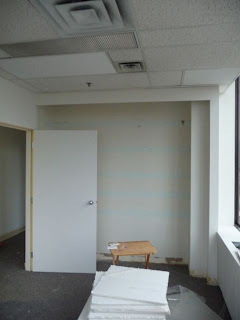 Do you have any opinions on color choice and office design? Cluttered vs. minimalistic? Masculine vs. feminine? Lots of greenery? Light sources - dim or brightly lit? Art with inspirational quotes, or basic prints? New expensive furniture or mismatched eclectic? :) When I walk into a room, or someone's house, my mood changes depending on the above conditions. I work with children and adolescents and share an office with a psychologist that specializes in adults. Eventually I would like to have my own space, so I can have fun designing it to my liking. I may do a longer post on this subject in future. For now, though, I'd say that my main principle is that the office should be furnished to suit the most important person in it: the client. The therapist may like it cluttered, or brutally masculine, or frilly and feminine, but this won't suit all of the clients who come to visit. The room should be decorated with a degree of care, but should be relatively neutral. The therapist can introduce some of his or her own personality - and should - but not to the point that it overwhelms the space. 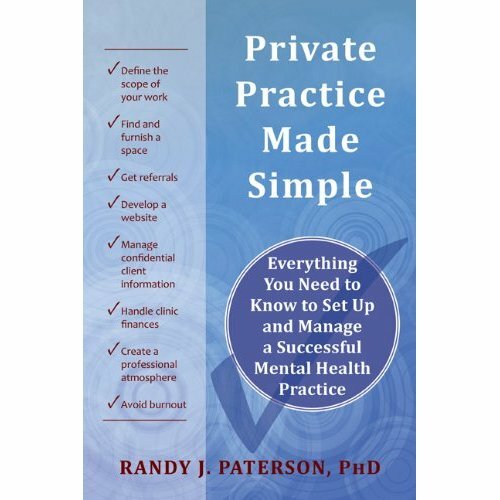 I have some recommendations on designing the space in Private Practice Made Simple, but may think about this more and post about it. Thank you for your comment. Thank you for your reply! 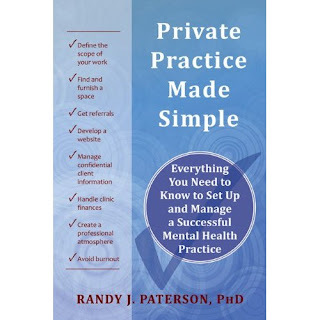 I attended your workshop at the CPA conference in Halifax, and should have picked up your book then. I would love to see a more elaborate post on this topic, and appreciate all the time you take to create this blog. It is very informative and entertaining. Thanks!